Why did the Soviet Union fail to build its own Disneyland? 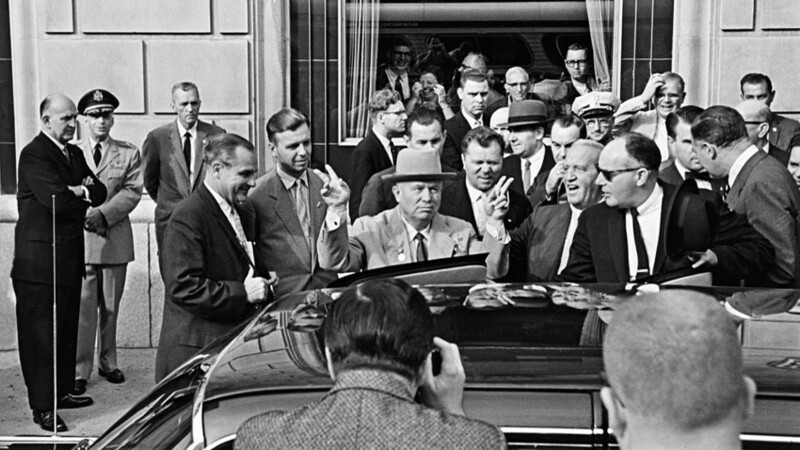 Official visit to the United States by a Soviet government delegation led by Nikita Khrushchev, New York, September 1959. Despite the Soviet leader Nikita Khrushchev’s dream to visit Disneyland, he was barred from doing this during his U.S. visit. Very upset, he decided to build a Soviet version of the famous park, much better than the American one. As is known, the first Disneyland appeared in California in 1955. The Soviet Union didn’t want to lag behind, and planned to construct its own version of the famous entertainment park. The first suggestion to create a Soviet Disneyland was made by Nikita Khrushchev after he had returned from his official visit to the U.S. in 1959. Interestingly, despite his strong wish, the Soviet leader was refused a visit to the famous entertainment park in the U.S.
Khrushchev’s wish to visit Disneyland was spontaneous and totally unplanned for the Americans. The U.S. security service told him it hadn’t enough time to ensure his security in the enormous park and thus couldn’t allow this trip. In fact, the Soviet version of Disneyland was intended to be rather different from the original. If the U.S. entertainment park focused on the world created by the Walter Disney studio with all its animated characters and cartoons, “Wonderland” was set to offer Soviet children a chance to explore their own country. 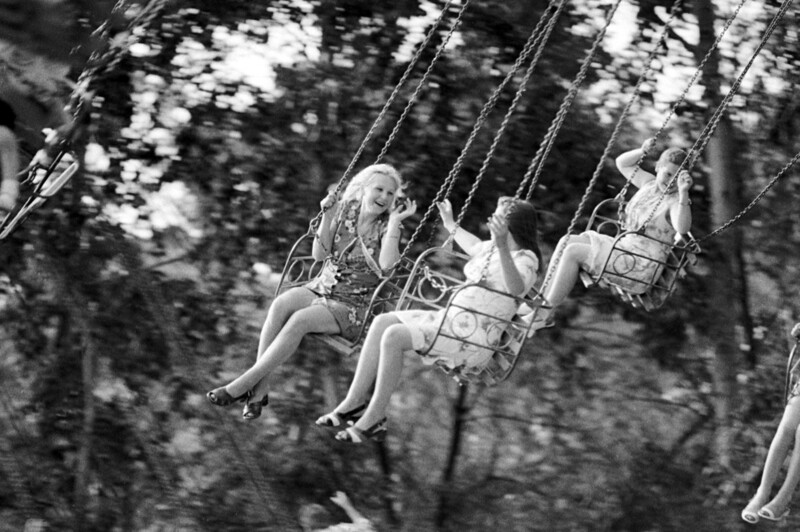 Children are swinging in Khabarovsk park. “Okhotsk Sea” was planned as an Underwater Kingdom (large aquarium), where people could drop to the bottom via bathyspheres and enjoy marine life. In the “Ussuri Krai” (the southern part of the Soviet Far East) visitors would be treated to a huge zoo. One of the park’s main sights would have been a huge model of Moscow, offering a detailed view of the Soviet capital with its houses, monuments, and busy streets full of people, cars and buses. The new Soviet entertainment park was a grandiose and ambitious project. The best architects and even leading Soviet science fiction authors Aleksander Kazantsev and Ivan Yefremov were involved in the project. Specialists were sent to the U.S. on fact-finding missions. The construction of the park was even proclaimed as a Komsomol shock construction project – a term that was used in respect of the most important construction works in the country, including nuclear power plants, huge sea ports and new cities. The budget for the project was enormous – 600,000,000 rubles. For comparison, the average salary in early 1960s was 85 rubles, and a new car could be purchased for 3,000-5,000 rubles. “Wonderland” was planned to welcome 300,000 visitors daily in summer and 200,000 in winter. Although the project was fully approved by Nikita Khrushchev and the first tranche of funding was allocated, “Wonderland” was never implemented. The reason was Khrushchev’s removal from power in 1964, when most of his projects were cancelled and forgotten. The idea of a Soviet Disneyland was never seriously raised since then. As is known, animation is Disney’s most popular brand. Russia too has several animation franchises that are famous worldwide. Find out which ones.